Where did March and April go? The past two months have been crazy in the Schulz household!!! My day job is real estate, so just as spring starts to lift off the down covers of winter and stick one toe out on the cold, early March floor, I’m diving head-long into the lap pool of work. Couple that with spring break vacation and, suddenly, a lot of balls are in the air. 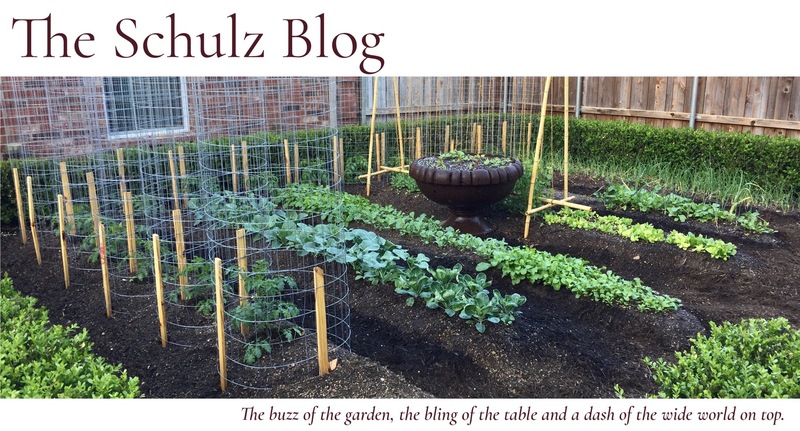 Over the past eight weeks, however (while I was obviously NOT writing), I still made time with J. to get the vegetable rows seeded, the pollinator garden cleaned up and ready for its impending glory and the first hive in our backyard apiary occupied (more to come on that little venture later). AND…I have SO much to talk about. Honestly, so many things have happened in my outdoor world that I could have content to write about for months! But I’m finding in this blog, career, mom, wife, volunteer world that I co-exist in with my six other selves that the “blog” part is tough to balance. Actually, it’s all tough to balance. As I’ve wrestled with the right purpose and focus for this blog, I’ve also been working to flesh out how my true passions can be of benefit to others. I have some good ideas about big, meaty content, periodically, but I’m looking to couple that with smaller, quick tidbits that I can easily share with you throughout the week. I’m embracing this concept from blogger friend Jill Elliott over at The Someday Project. When Jill and I chatted, we talked about how everyone appreciates serious substance from time to time, but we all also need ideas and tips that we can grab on to and run with, without a lot of effort. Even so, I’m additionally keenly aware that sometimes we just want to bring it all down even one level further to what I call the “fluff zone.” On Wednesday of this week I quipped on Facebook® that, after a tough day, I sometimes just need some solid television binging. This week, it happened to be Sneaky Pete. Loving it, by the way. But in my outdoor world, the absolute, no question, nothing even comes close to it “fluff,” that’s like a soft, cozy blanket by the fire or a hot bubble bath with a glass of champagne, is photography. When I’m behind the lens I experience the same sensation as I do when I paint…nothing else matters, and I simply don’t think. I just create with my eyes. My camera accompanies me like an old friend these days, nearly every day of the week. So, I thought, “Why not?” Why not just share a little of what I see in my world each week and share it for the sole purpose of simply conveying art through the eye? So that will be your “fluff” for this blog. Every weekend I’ll share my “Week In Review” of my top seven favorite photos with absolutely ZERO purpose other than to provide you with something pleasant to look at. And don’t we all just need something nice to look at now and then? I don’t know how “AJ” is blessed with 30 hours a day but she sure uses them well.